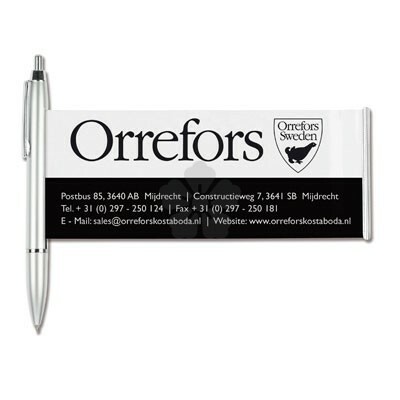 Custom made banner ballpen with full colour imprint on both sides of the banner. 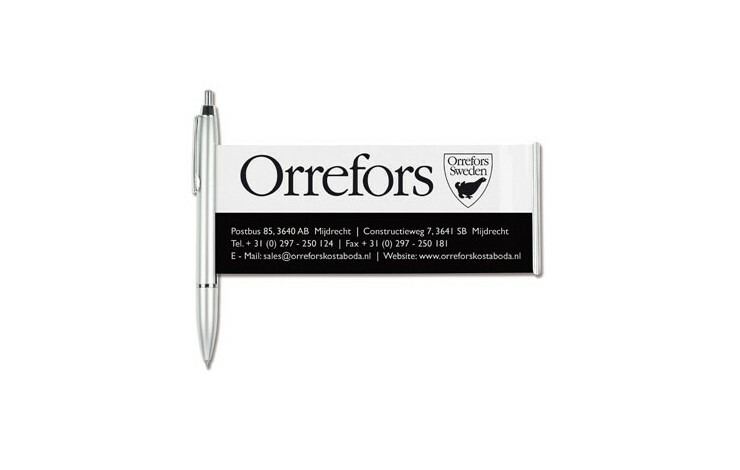 Ballpen available in silver. Note: Setup is charged at £180.00.